built-in barbeque, pool table. Benches surrounded by lush foliage for bird watching, reading or just relaxing. Tours and shopping excursions can be arranged. 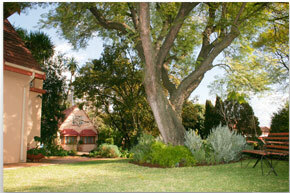 Affordable luxury in park-like surroundings where you are welcomed in true South African style. The Bedford View offers elegant, well appointed en-suite units, each individually decorated with style and comfort in mind. Set in park-like gardens in the up market suburb of Upper-Bedfordview. The peace and tranquility and abundance of bird life belies the close proximity to the highway, two exciting shopping malls and a wide selection of excellent restaurants. The location is ideal for easy access to the main business districts of Bedfordview, Edenvale, Germiston and the city center. 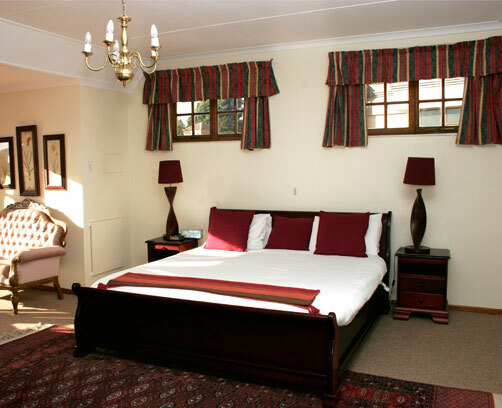 – 20 minutes from Johannesburg International Airport. We pride ourselves on understanding the needs of both corporate and leisure travelers and endeavor to make your stay a restful and memorable one. The en-suite units have TV, telephone and hospitality trays for your comfort. 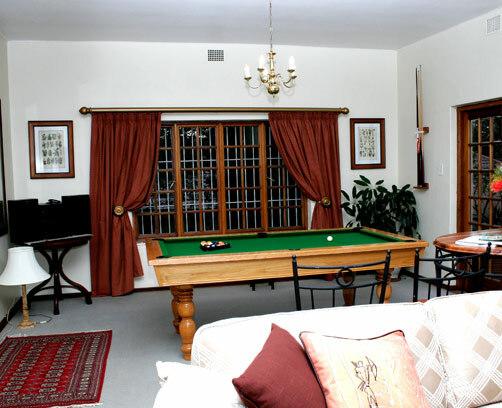 Guests have access to the communal lounge, pool table, patio and sparkling swimming pool. Sumptuous breakfast can be enjoyed in the dining room or weather permitting, the lapa, personally supervised by your hostess. Secure off street parking is available. The Bedford View offers facilities for business meetings, breakfasts or lunches and functions.